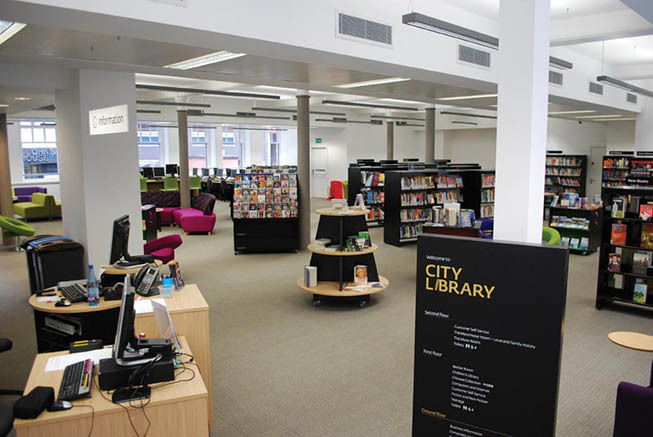 City Library is the main city centre library while Central Library is closed for refurbishment (reopening 2013). The latter's huge stock levels (over 35km of shelving) meant that it was impossible to recreate it elsewhere, so a decision was made to focus on key services in attractive surroundings. 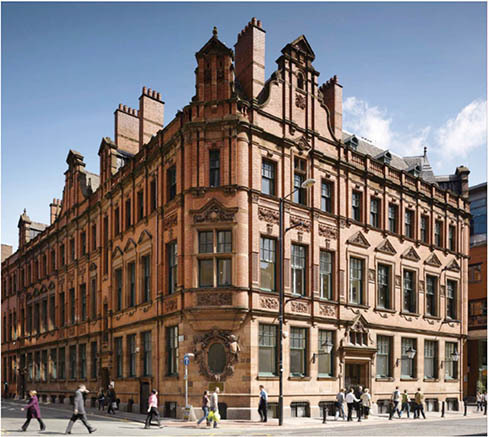 Elliot House is the Grade II listed former school board building. 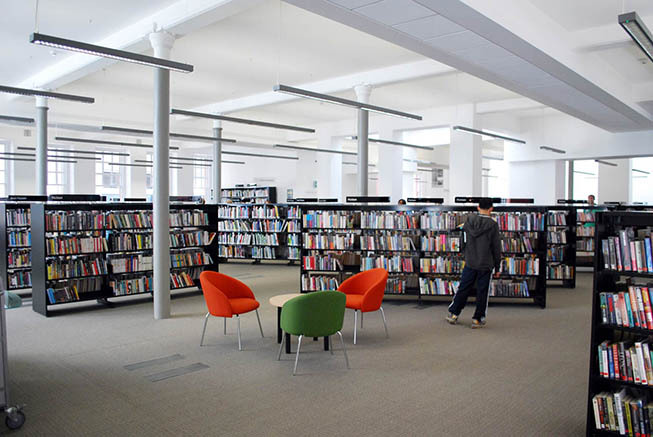 Spread over three floors, City Library has a totally different look and feel from Central. 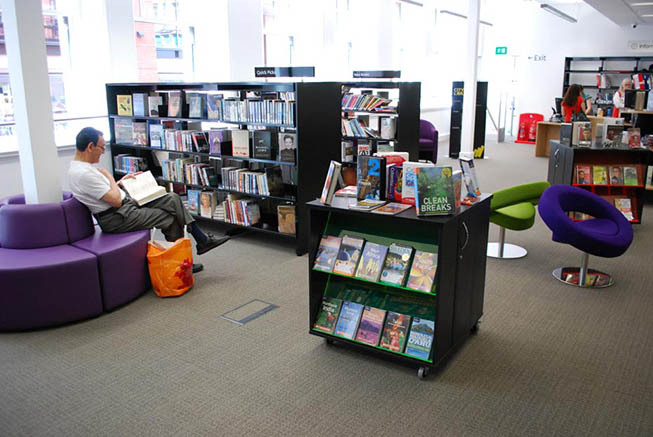 Its modern, spacious interior features books for lending and reference, DVDs, newspapers and magazines in comfortable reading areas. 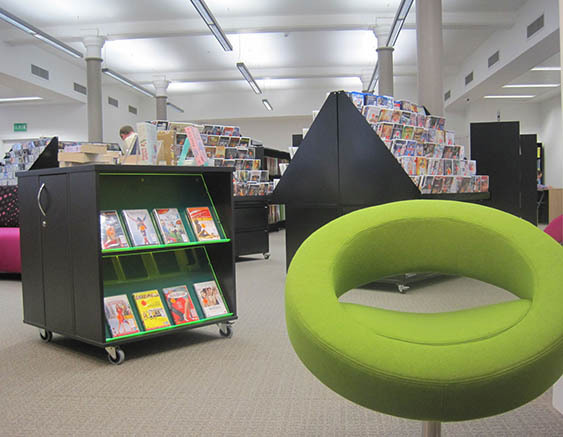 All the library's stock has been RFID tagged, enabling customers to use self-issue and return terminals. The ground floor has newspapers and magazines, business information, computers, CDs, DVDs, services for visually impaired people, a reservation collection point and quick-picks. The first floor houses the main book collection, as well as computers and areas for children and teens. The Becker Room is an attractive, oak-paneled room for events such as author visits and other events. Items from the Henry Watson Music Library are kept in the second-floor Music Room, from where we also offer access to our off-site collections of choral and orchestral sets. 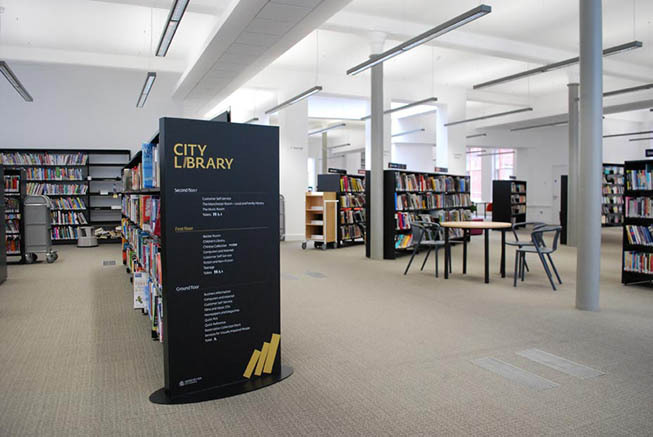 The main second room area is The Manchester Room, with an extensive collection of books and local and family history sources, with computers, microfilm readers and study spaces.